Stretching.. the dreaded part of any exercise program. Stretching takes so little time, yet is so often forgotten. It is vital in protecting your body and keeping your muscles healthy. There are different types of stretching and each comes with different benefits. Static stretching is a slow and constant stretch in a position that is held for 15 to 30 seconds. The purpose of static stretching is to elongate and relax the muscles. A common example of static stretching is a seated forward fold: sitting on the ground with legs reaching forward, bending at the hips, and arms reaching forward towards the feet. To make this a static stretch, the individual should be holding this position for 15-30 seconds, and releasing back to a seated position after that time. Static stretching should be done after the muscles are warmed up, specifically after a lift or cardio workout. Stretching the muscles used during the prior exercise helps the muscles loosen up after being contracted and utilized during the workout. Ballistic stretching uses a bounce-type movement in which the stretch is not held. This type of stretching is mostly used prior to exercise. Following a light warm-up, ballistic stretching can be used to further “wake-up” the muscles. Ballistic stretching triggers the stretch reflex that does not allow muscles to relax. Think of that same forward fold stretch as before. Instead of holding the stretch, a ballistic stretch would be reaching forward and bouncing back into the starting position. This could be repeated about 10-12 times for a good stretch. 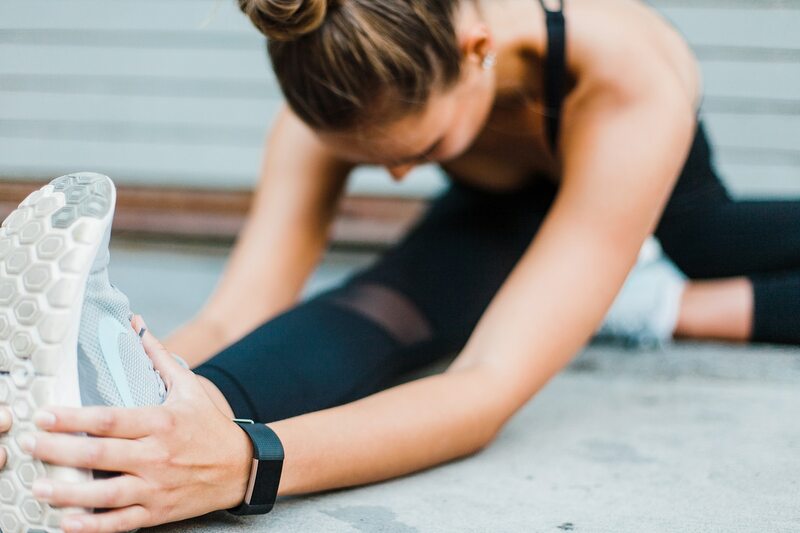 After hearing all those benefits, does that make you want to add a little stretch to your workout routine? I challenge YOU to add just 5 minutes of stretching to your future workouts. You’ll be amazed at how great you feel!